My favorite scene in Lilo & Stick is where Lilo declares that it is "sandwich day". We've watched that so many times, we have the whole scene memorized. In the movie, Thursday is sandwich day. Around our house? Everyday is sandwich day. We eat a lot of sandwiches. I make 2 sandwiches every morning for my husband for lunch to eat at work. I've asked him if he wants a salad, a wrap or something hot to microwave. Nope, he's good with sandwiches. I do like to try to mix it up for him a bit. So about once a week I've been making egg salad. I make it different ways but I think that this is his favorite though. But of course there is the dilemma over Miracle Whip over Mayonnaise. He swears by Miracle Whip but I am a mayo chick all the way. He eats way more of it than I do so he usually wins. How do you like your egg salad? 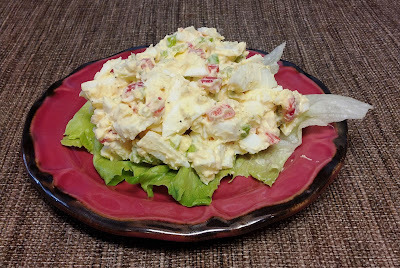 Mix the eggs, celery, red pepper and mayo together. Add the celery salt, pepper and paprika. Taste and adjust seasoning. 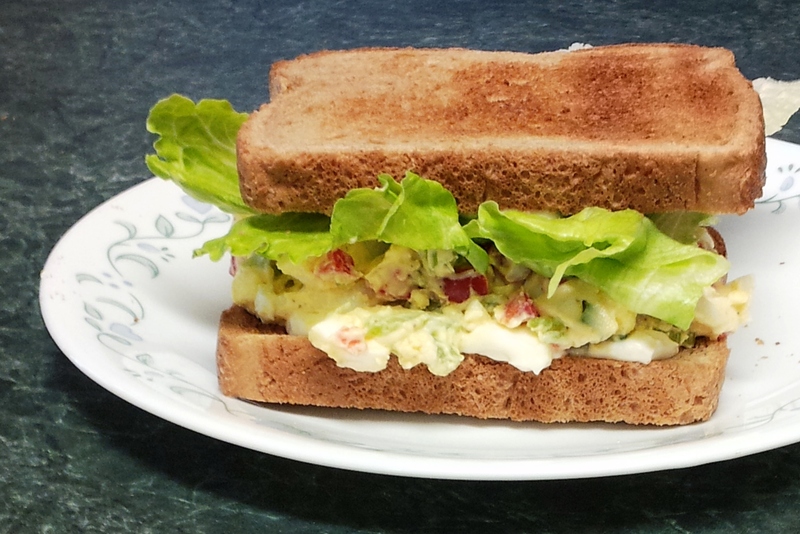 Make sandwiches with lettuce and enjoy. Optional mix ins: Chives, sliced green onions, tomato, or cucumber. I've done all of these at different times and they are all good.